Our Server has the capacity to reach 1 GBit speeds for data transfer, and redundant paths, to make sure your site is available all the time. AGOA wishes to provide the best service possible by always being available to help a customer with anything from hosting issues to web site scripting. 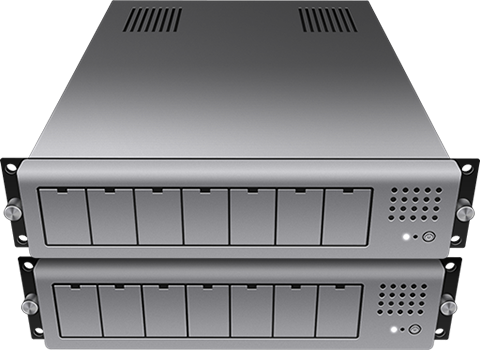 Our servers run in a Xen environment and allows for live server migration, which means no downtime between upgrades. We use DirectAdmin as our web control panel. Yes it’s true, our price’s don’t beat top companies. Big hosting companies advertise unlimited everything, but in reality actually do have limits on what a user can have. AGOA does not false advertise its resources. You get what you see. We provide the services that users need while maintaining an affordable rate. And if you ever need more space, bandwidth, or email, we prorate on top of your current plan, so you are not being charged for services you don’t use. Need email for your domain? AGOA can provide email accounts for it’s users, even if their plan does not support it. We use two delivery system for our mail services: Google Apps, and Roundcube. Ask about getting it set up for your domain.